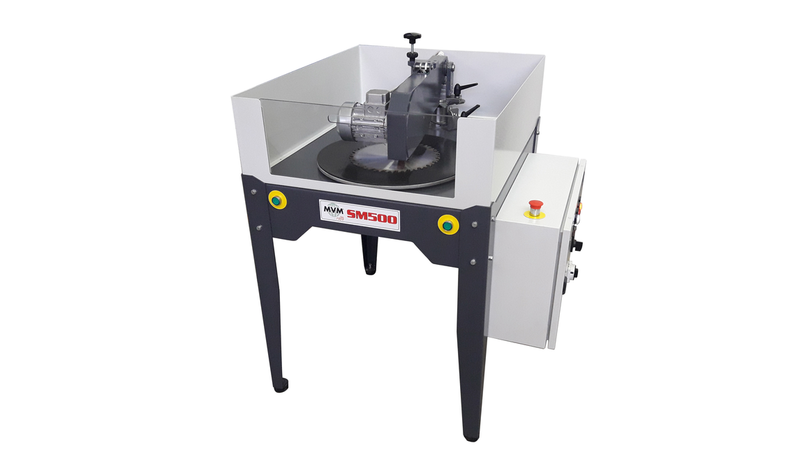 The model SM500 is a sanding machine for bevelled circular discs and saw blades, which performs surface sanding of the disc body to clean it from oxidation, resin, incrustations, thermal treatment stains and thereby polishing it, bringing it back to its original thickness without alterations. This ensures superior mounting of the disc during normal use or re-grinding. The SM 500 can be used alongside our model LA 500 for blade cleaning prior to re-grinding.